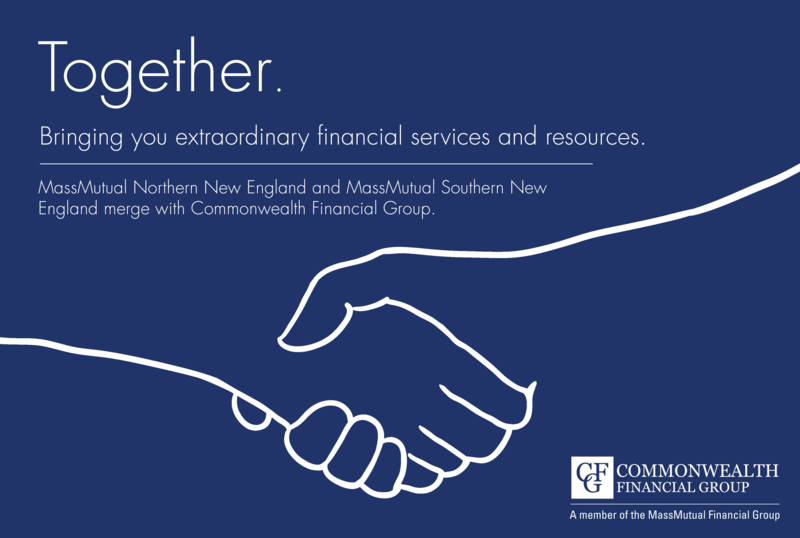 We are proud to announce that MassMutual Southern New England and MassMutual Northern New England have merged with us! Through this merger, our firm has expanded to just under 200 financial advisors. It has also significantly broadened our outreach from primarily metropolitan Boston to all of greater New England. We now have corporate offices in Boston, MA, Hingham, MA, Hyannis, MA, Warwick, RI, Bedford, NH, and Burlington, VT. The agency now serves over 95,0001 clients representing over $6 billion of assets serviced2. With the current economic landscape, St. Jean believes that it is now more important than ever for individuals and business owners to seek expert guidance from a financial professional. CFG has always been committed to serving every client no matter where they are from, and through the merger, the firm was fortunate to gain advisors in remote locations throughout New England, while at the same time strengthening their metropolitan presence. 1. An insured, owner, or payer of a MassMutual policy or contract. 2. Includes values of MassMutual and subsidiary insurance companies’ insurance and retirement products and investment products offered through MML Investors Services, LLC, a MassMutual subsidiary.